An expedited freight company with years of experience meeting even the tightest deadlines. 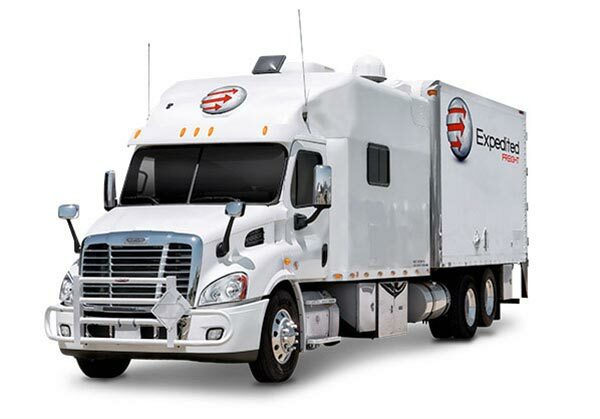 When you need a quick delivery and traditional trucking just won’t do, trust ExpeditedCompany.com for rapid results. Our team of highly qualified drivers, combined with a fleet of advanced, efficient trucks, allow us to deliver your order on or ahead of schedule under even the most difficult conditions. With more than a decade of experience serving clients from countless different industries, we’ll have no trouble handling your order safely and effectively. Few business functions have a greater impact than transportation. Whether you’re bringing in supplies to keep production going or delivering a finished product to your clients, the quality of your carrier service can make or break your company. Standard trucking services can meet this need under ordinary conditions, but if a truck breaks down, you suddenly need an new item shipped, or you have to ship an item with unusual storage requirements, traditional services won’t do much good. In this situation, your best hope is expedited freight. An expedited trucking company maintains a large fleet of vehicles in key locations across the country. Whenever a client has a sudden delivery need, the company can dispatch one of these vehicles to pick the item up and begin shipping it immediately. This allows clients to complete sudden shipments by the next day, overnight, or even within a few hours on the same day. As an expedited freight expert, ExpeditedCompany.com gives you the flexibility to ship the most challenging items under any conditions. In trucking, quality doesn’t just mean speed, but also safety, flexibility, and security. ExpeditedCompany.com upholds quality in all its forms. We invest in advanced vehicles of all sizes, as well as in regular repairs and upgrades to keep them performing at their highest levels. We also invest in our drivers, hiring only those with complete training, clean backgrounds, and a commitment to excellent service. These steps allow us to keep your orders safe throughout the delivery process, all while achieving improved fuel efficiency, cost savings, and speed increases. We can also load specialized storage equipment without difficulty, giving us the flexibility to ship any manner of item. Don’t take risks with your critical freight. For more information on quality service from an experienced expedited company, contact ExpeditedCompany.com today.